Published on 17 July 2015 in House. 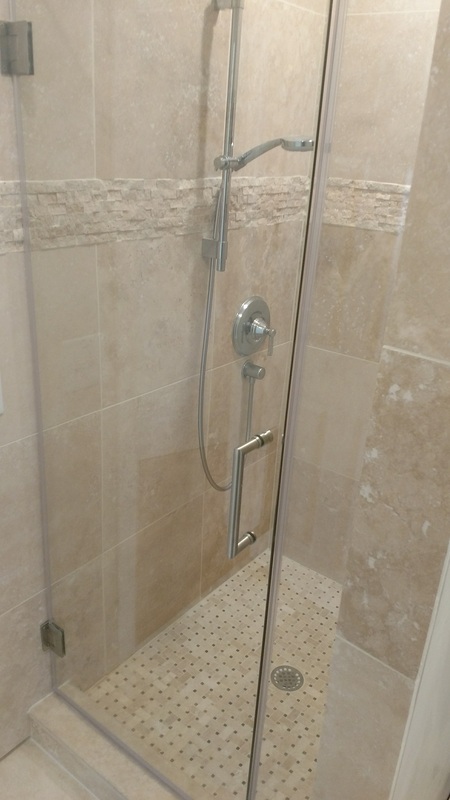 0 Comments Tags: DIY, home improvement, house, interior, remodeling, tools. Well, we’ve been here nine years and haven’t painted much of the house. We went with a Sherwin-Williams Sterling White for the living room, kitchen and upstairs hallway. 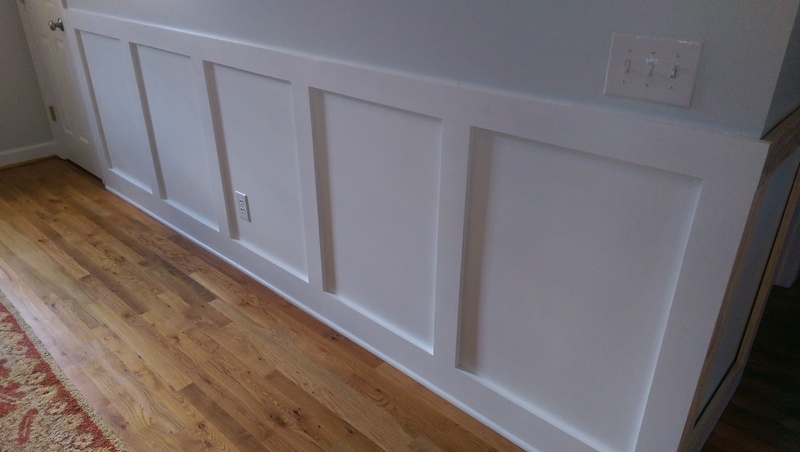 Also decided to give the rooms some architectural detail with board and batten style wainscoting….OK, actually it’s because it holds up better to the kids’ grubby paws. My favorite new tool – the Kreg pocket hole jig. Published on 21 October 2013 in Kids and Sports. 0 Comments Tags: Leonidas, soccer, Sofia, sports, twins. That’s a game face from Leonidas (standing, second from right). Sofia’s got her usual happy, shiny face on (kneeling, first from left). The team is struggling in the win column, but the kids are having heaps of fun. 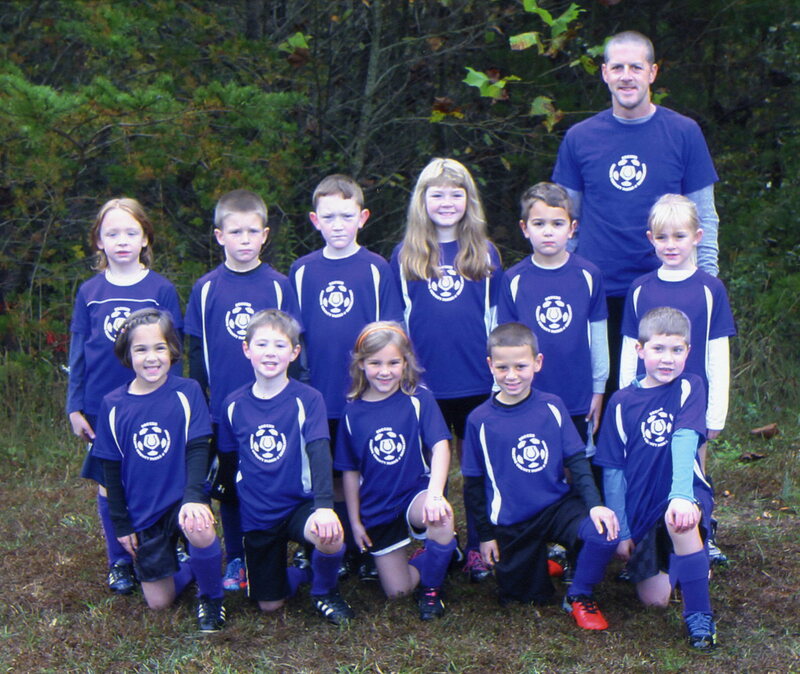 This is the twins’ first year playing organized sports and they’re getting better every week. Leo actually scored two goals this past Saturday! Sofia scored one early in the season but has hit a dry spell since. Published on 29 May 2012 in House. 2 Comments Tags: addition, construction, house. After talking about it for about a year, Carolyn and I decided to go ahead with the garage/bonus room addition. 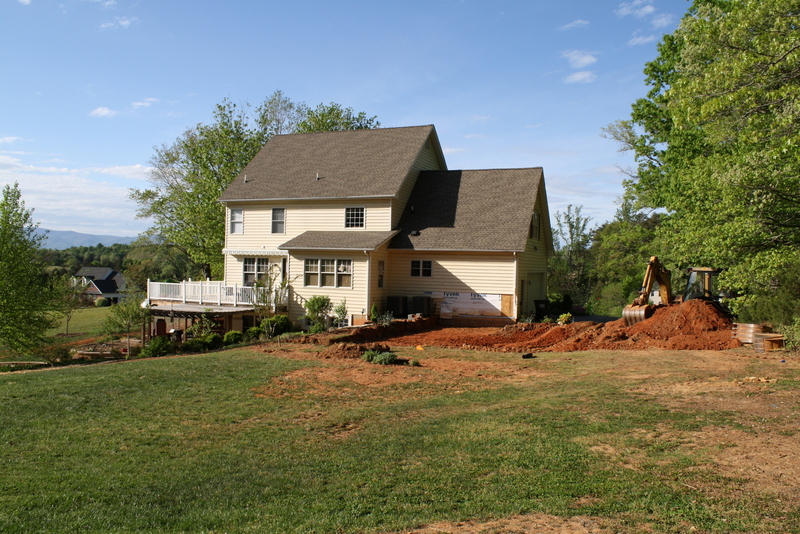 We decided to go with a local builder named O’Jennings Home Builders and they started excavation on 17 April 2012. 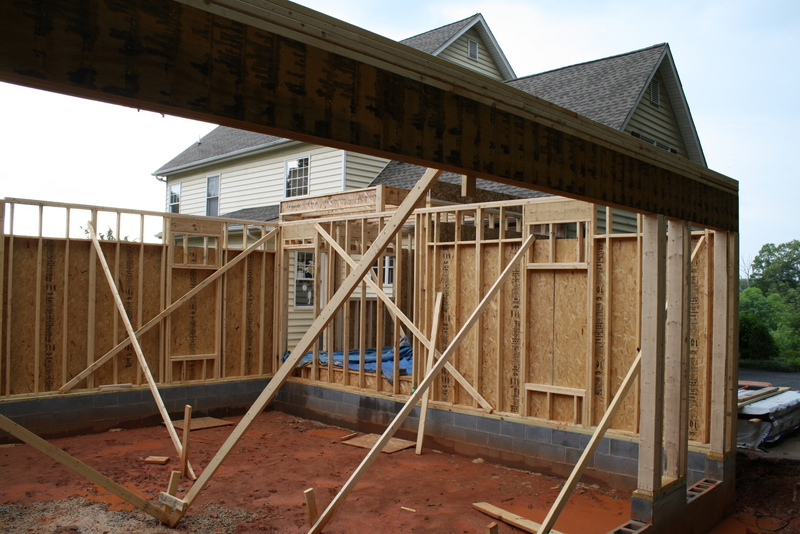 Unfortunately, it started raining seemingly every other day soon after that and construction was slow, but here we are almost in June and we have floor one (the garage) under cover and the roof trusses are due to arrive later this week. Excavation just beginning. This after moving the gas tank about 30 feet and reconnecting, which strangely resulted in a ruptured gas line (nail hole) and four holes in the basement drywall to try to find the leak. 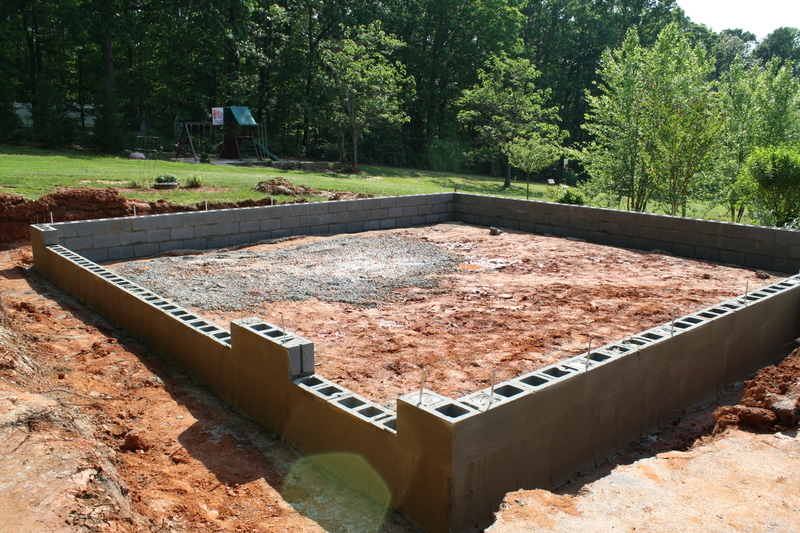 Footers have been poured and block foundation is complete. 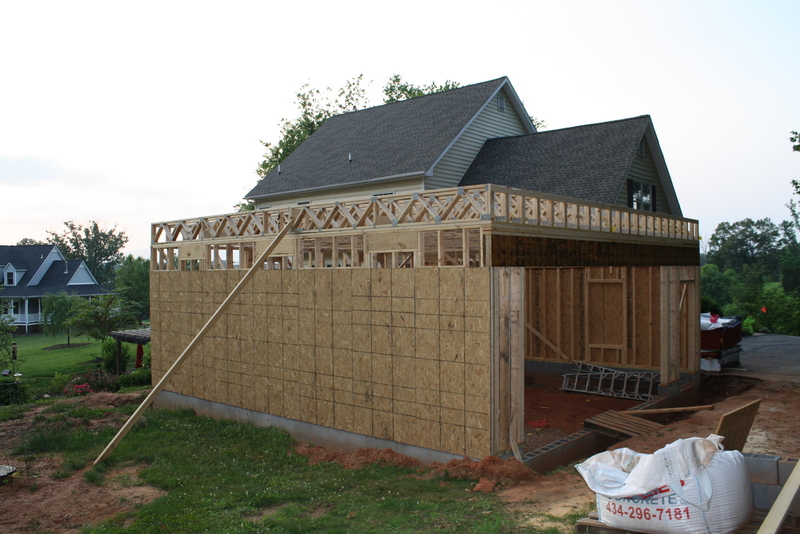 Footprint of garage is 28′ x 28′. 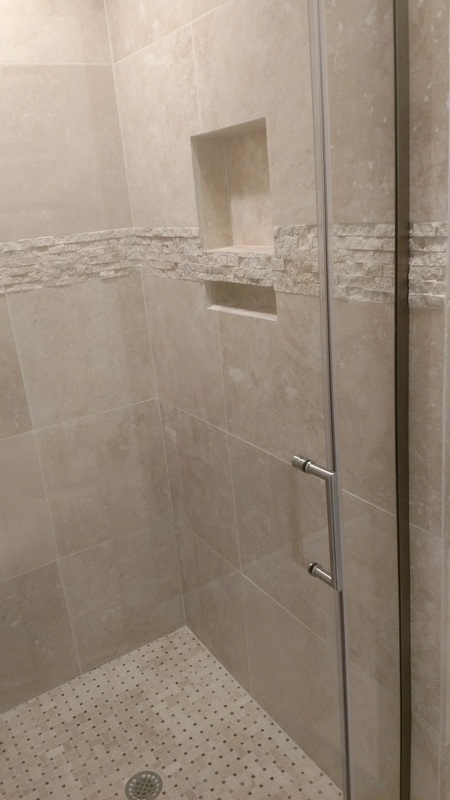 Laundry room expansion is 13′ x 13′ and is above a crawl space. Stairs within will give access to second floor of addition. 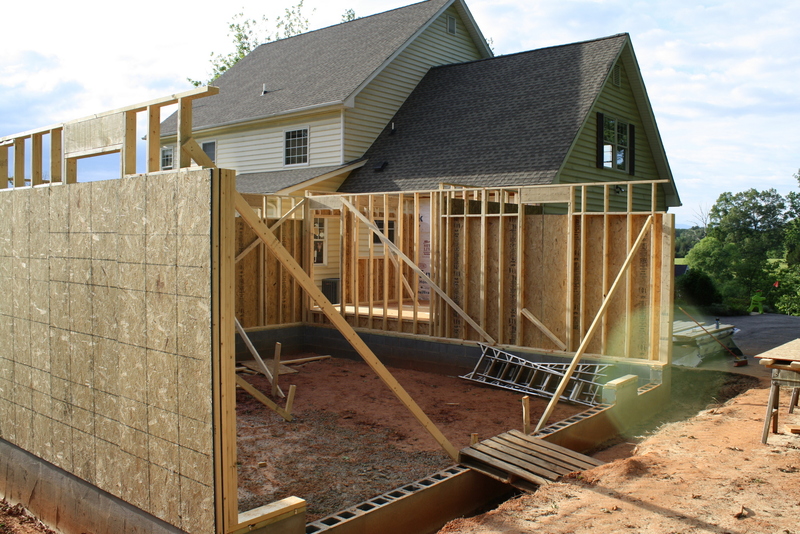 First floor walls going up. Massive garage header installed. Triple LVL beams. Engineered trusses to cover the 28 foot span without support posts. 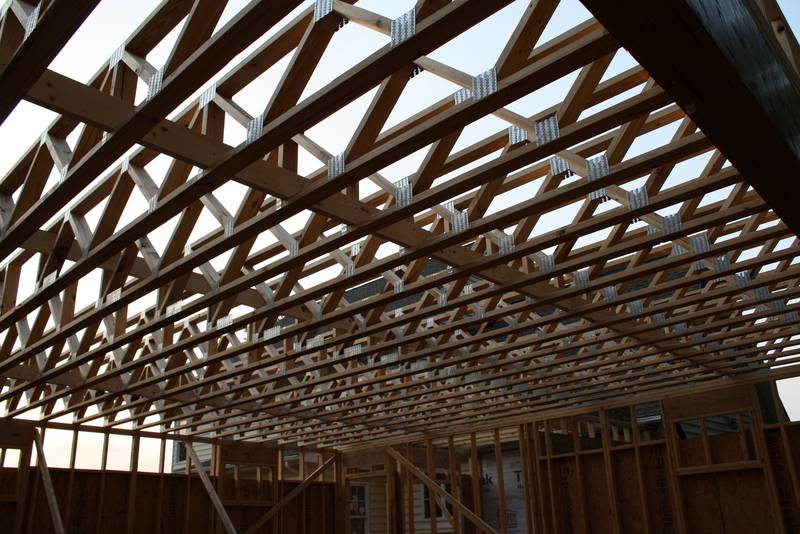 Trusses are 18″ deep and installed 16″ on center. Seems solid. 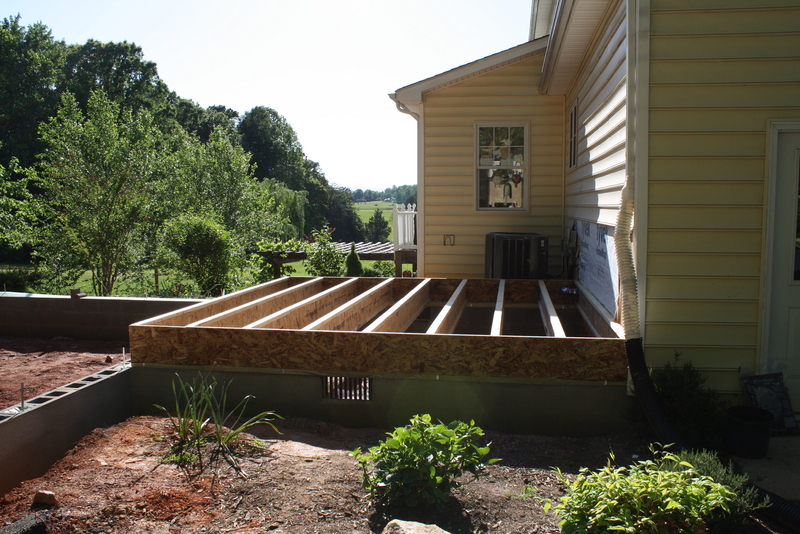 Just before the flooring panels were laid on 2nd floor. Published on 30 April 2012 in Kids, Leo and Sofia. 0 Comments Tags: Leonidas, school, Sofia, twins. Sofia and Leonidas. 4 years old. Published on 18 November 2011 in Maximos and video. 0 Comments Tags: Max, video. Note to self (and Santa): Kid needs more Raider gear. We drove up to DC for a day last week to get Maximos his Australian passport for his trip Down Under in September. Decided to walk over to show the kids the White House after the embassy and took some snapshots, followed by some Frozen Yo (free hot fudge!). Yum. Published on 7 May 2011 in travel. 0 Comments Tags: Milwaukee, travel. Milwaukee is a nice city. I enjoyed my visit there. It’s comparable to my hometown of St. Louis. Both big beer cities. Architecture is similar in that there’s Art Deco, postmodern, neoclassical (the beautiful Northwestern Mutual Building) among the mix. The citizens talk a little funny but I found them to be very friendly. I was there for three days for a conference, but I tried to explore as much as I could between conference sessions and while suffering through yet another sinus infection. I was downtown, so I was only able to hit a few places that I could get to on foot. It’s a very walkable city and I was able to do the Riverwalk and take the obligatory snapshot of the “Bronze Fonz” on my way to the Milwaukee Ale House (very good beer and even better pot roast). About the Riverwalk – there was a shuttered Borders in a prominent spot there on the banks. Sad that the chain, my favorite for books, has gone out of business because that must have been a great place for a bookstore. Like St. Louis, Milwaukee has a revitalized warehouse district. The area is called the Historic Third Ward, but they’ve done it much better than St. Louis and it seems much more vibrant. There are plenty of lofts, boutiques, art galleries, and cafes in the area, along with an Art Institute and the Milwaukee Public Market. I had a nice doppio espresso there at a locally owned coffee shop on my way to the lake shore and the stunning Milwaukee Art Museum (MAM). Unfortunately, I didn’t have time to tour the MAM’s galleries (there was an exhibit of work from Wisconsin-born Frank Lloyd Wright at the time), but I did go into the lobby and it had a ultra-modern Clockwork Orange/2001 A Space Odyssey feel about it. Lots of hard surfaces and white plastic. Very cool with a view to Lake Michigan. The shore area around the MAM also has a science museum (Discovery World) and a children’s museum and it looks like they hold festivals there quite often. Adjacent to the MAM is the impressive Milwaukee War Memorial. I also went the other direction on the Riverwalk to the Westown area and picked up a couple of Nubs at the Uhle Tobacco Company. The shop appears to have been in business for decades. Very cool and very nice people. The conference I attended had a private event at a spy-themed restaurant and bar called the Safe House. Interesting place that was hidden away and required a password to enter. Complete with false walls and hidden booths. Dropped in there for a beer and called it an early night to watch more bin-Laden-is-dead news and get some Robitussin-induced sleep. On the other side, the only real shopping center downtown is the Shops of Grand Avenue and it reminds me of the now closed St. Louis Centre back home. More than half the stores are shuttered and the the anchor is a department store called Boston Store which is like a poor man’s Macy’s with much less variety. The mall in general is pretty depressing and the only activity in there occurs at lunch time since they have a decent food court, featuring a Culver’s (Butterburgers!). I ended my stay with another private party, this one at the Milwaukee Public Museum. Pretty impressive museum. Nothing cooler than a gathering at a closed-to-the-public museum. Earlier this year, I attended one in the Smithsonian’s Museum of Natural History, so very lucky to have had that experience twice this year. The unique and fairly new Harley-Davidson Museum was not too far away either, but I simply ran out of time. Also would have liked to have visited the Annunciation Greek Orthodox Church designed by Frank Lloyd Wright and catch a Brewers game at their convertible stadium, Miller Park (they were on a road trip). Maybe next time. I look forward to visiting again.